Shokti + is a vitamin and mineral enriched yoghurt which is affordable for families in Bangladesh, where 50% of kids suffer from malnutrition. High malnutrition rates in Bangladesh make it almost impossible for children to develop to their full physical and mental potential. Eating well enables kids to grow, develop a good memory and maximize learning at school. To combat this, the Grameen Danone Foods team developed Shokti +, a yoghurt enriched in micro-nutrients (iron, zinc, vitamins A and iodine). The product is also a source of income for the inhabitants of surrounding villages: smallholder farmers sell their milk to the company and vendors earn an income by selling the yogurts door-to-door. In Bangladesh, more than 54% of children under five – equivalent to more than 9.5 million children – are stunted and 56% are underweight. Deficiencies in vitamins and minerals are notably high, impairing proper physical and cognitive development. Shokti + aims to break the vicious cycle of malnutrition through their affordable and fortified yoghurt, and stimulate local economies by including local communities in the product’s value chain. Shokti + is an affordable and fortified yoghurt which improves the cognitive and physical development of kids. One 60 g cup of the yoghurt provides 30% of the recommended daily iron, iodine, zinc and vitamin A. Milk is also collected from 475 local small herders within a 50 km radius around the factory, and the yoghurt is distributed through a network of 250 women micro-entrepreneurs selling door-to-door. Thus, Shokti + provides employment and encourages local entrepreneurship. 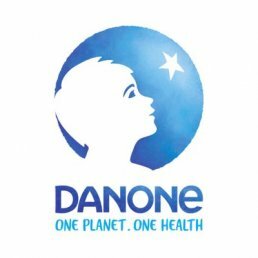 Danone is a French company, which produces different food-products. They have four different business lines: fresh dairy products, early life nutrition, water and medical nutrition.